In this guide, you will learn “How to download torrent files fast with any download manager” ! 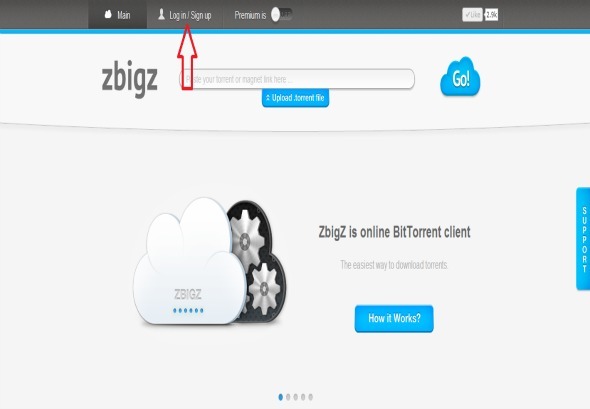 Now, we have come up with a website known as “Zbigz.com” which decreases the initiatives along with shorter period taken to download the file from the Torrentz.Moreover this web centered service provide the person to download the specific file easily when the computer file is to download from the torrents. 1. 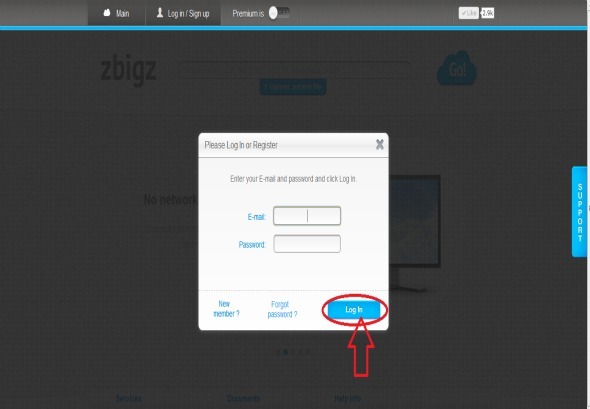 Go to zbigz.com ! 3. Log in With your E-mail Id And Password. 4. Now, Download your torrent file from any torrent website like the thepiratebay.se or kat.ph . Then click on “upload .torrent file” . 5. Select “free” option . 6. Then the file will start downloading (caching) on their servers, once it is finished you can see “.zip” button with a down arrow. Click on it. 7. The download will start on your computer ! but, Max.speed is 150 kbps, as it is free ! Enjoy downloading torrents at fast speed ! Although, I already know about Zbigz, it doesn’t always perform well. Instead, I would recommend a better alternative to download Torrent files i.e., Put.io. Thanks for letting me know about this site. But the download speed is very low. Maybe it’s my PC problem. I think it just convert the torrent file to a normal downloadable file. Great information and I will bookmark this one. It seems that I need this information in the future. But, I am using IDM at the moment and I hate torrent files. Maybe when the time is right I would be able to understand torrents more….. I too use torrent many times but download using either Vuze or utorrent. But this is really a best alternative to me. I think I should try it. Hope that it will work great for me . I have been using this method to download torrent files easily and faster with internet download manager and i must say its really an effective and easy way to download torrents easily. Its a good idea, this site convert the torrent link to normal downloadable file, and we can download normal files faster than torrent files with using any download manager like IDM. Yeah Zbigz is pretty good for downloading torrents online. But there are still many ways how you can download torrents online without needing a help. For example “putdrive”. All you need is to give the torrent link to it. So it will download the file and store it in cloud even if you are offline. It is really good too. Hope, this will add some more value to your readers. Keep posting. I have used torrent speed booster. But i had not worked better… Now i use your’s and it is absolutely working. thanks for sharing such a good content.